The Smile Chronicles | Let the good vibes run. Let the good vibes run. No no no!!! A friend posted this on Facebook and my heart just died imagining oceans of flatness… FOREVER. Sign the petition. 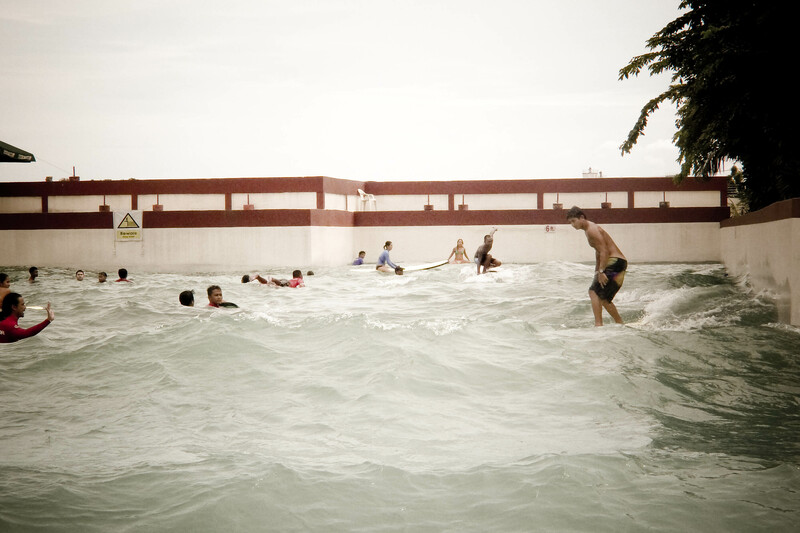 Surfer or no surfer, this is a way for you to help the environment. Save the Waves, Save the Oceans! Click on the photo to sign the petition. I can say Day 5 is the most fun so far, since we were taught how to cross step! I’ve always been amazed how longboarders do it, because I myself couldn’t even get the stance right (my feet being too far apart). They effortlessly work their way up to the nose, do hang fives or hang tens. If it were myself, I would have connected with the water in the most ungraceful way, with my board hitting me on the head. This day gave me a fighting chance to do it in the ocean! In a week will be Day 6 of the program, the LAST day for Batch 2! Time flies by so fast! Hopefully nothing comes up so I won’t miss it. Please join me as I pray to graduate on time! Some yoga to warm up. Thanks Rozie for correcting our form! Why are we doing different poses? We were doing self-practice. First time I did this with other people around too! Look at A go! Cross stepping like a boss! 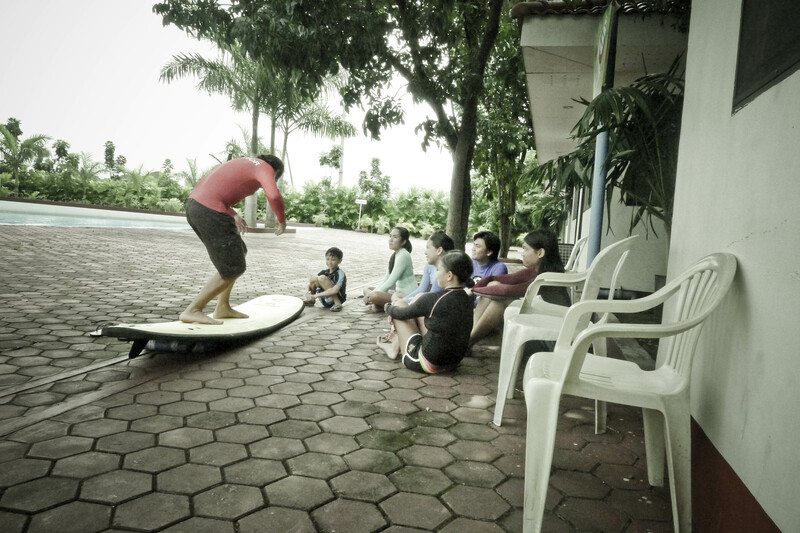 Take your friends and family to Club Manila East Resort in Taytay, Rizal too! Share the stoke! “Every little thing counts.” – Try applying this thought in the things you do at work, in fitness and health, the environment, family and relationships. A sincere thank you note to someone sending a report on time, an extra lap around the block, drinking water instead of soda, bringing your own bag to the supermarket, or a simple good morning text to your dad will make a difference. Repeat and make it a habit. Day 4… We are more than halfway done with training and I’m pretty excited because I feel I improved already from the past 3 sessions. In between Surfcuit Sundays, I try to go to the beach and surf as much as I can. I still have a long way to go, but I do feel more confident and I have more endurance to last hours in the water. Paddling out with higher waves than I’m used to was so hard for me before, but now I panic less and I noticed I get out much faster. ESKIMO ROLL!!!! So this day was about doing turns. 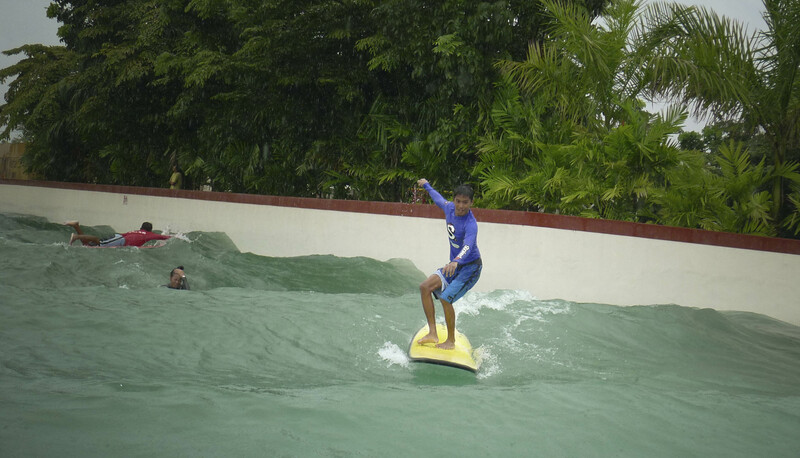 “Cutback”, “Reentry”, “Top Turn”, “Bottom Turn” – terms I hear from well-seasoned (yes, maasim-asim pa!) surfer friends, and of course Youtube videos. It looks so easy when I watch them do it! Coach Paolo explained what these actually are, and how they look like in the water with the help of videos. I know it would be a long time before I master these tricks, but hey, everyone has to start somewhere! Here is the video shown to us in slow-mo during class. We watched Lorraine do her turns (0:50) so we have an idea of how to execute the moves in the water. 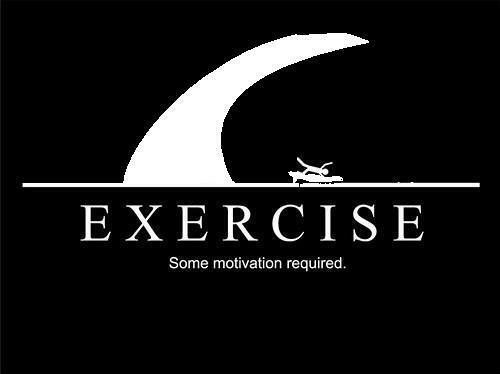 Really different from just watching surf vids online… it helped having a coach break down the moves for you. I will give myself a pat on the back for only slamming once on the cement wall of the pool. Hehe :) But it is really fun! 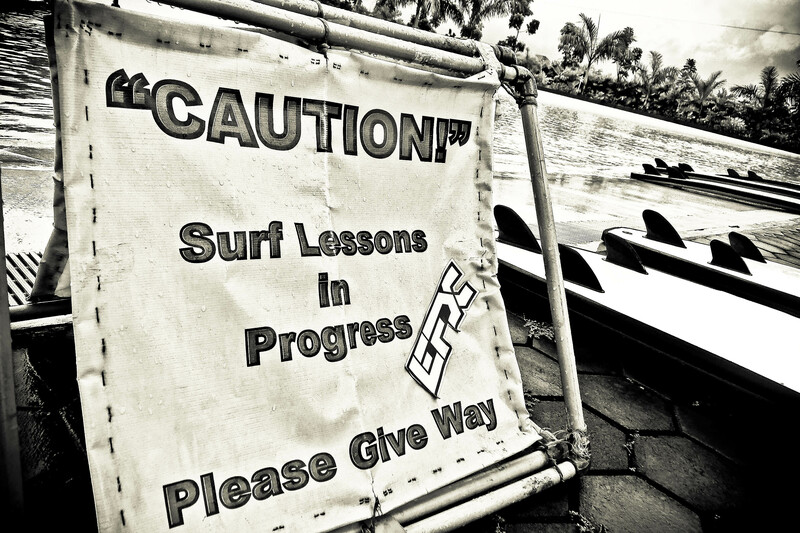 I’m thinking a simple left or right turn will definitely save a lot of people and boards when I’m surfing – woohoo! Better dodging tactics! Where and when should we do turns? Coach Paolo explains. 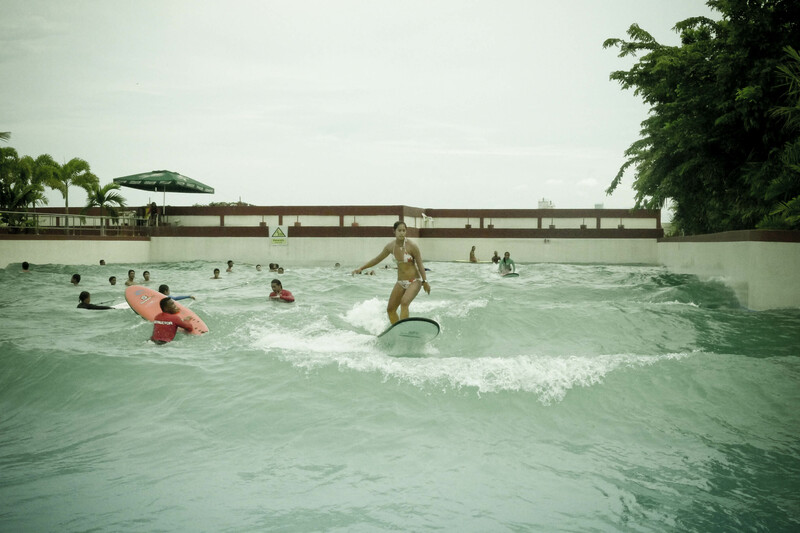 An awesomazing wahine, Lorraine Lapus, showing us how the pros do it. Day 5 coming up – Shuffling! ahem I mean Cross Stepping!